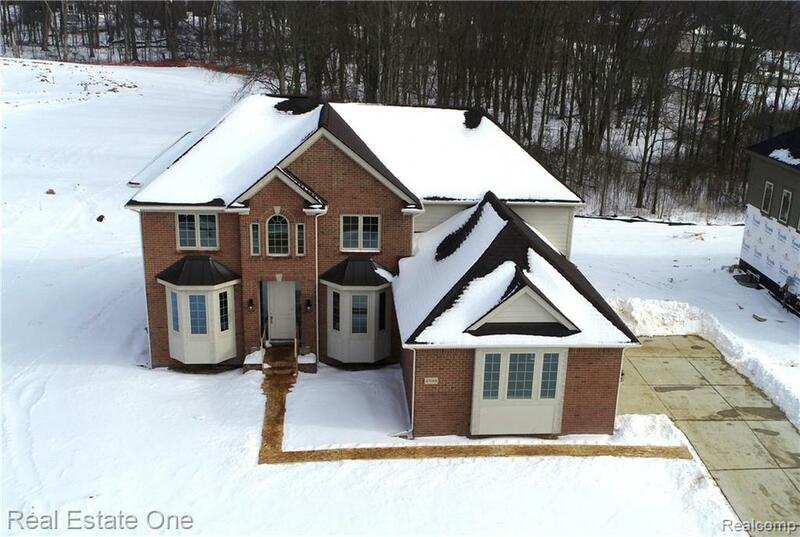 EXCEPTIONAL HOME ON PREMIUM LOT BACKING TO WOODED AREA IN THE HIGHLY SOUGHT AFTER VALENCIA ESTATES OF NOVI WITH A GREAT LOCATION CLOSE TO MAJOR SHOPPING AREAS AND EXPRESSWAYS. INSIDE THE HOME, HARDWOOD FLOORS LEAD THROUGH TO THE TWO STORY GREATROOM FEATURING A FIREPLACE WITH CRISP WHITE MOLDING AND SEVERAL WINDOWS FOR PLENTY OF NATURAL LIGHT. JUST OFF THE GREATROOM SITS THE KITCHEN WITH DARK WOOD CABINETS, LIGHT GRANITE, STAINLESS APPLIANCES, OVERSIZED ISLAND WITH BAR SEATING AND BREAKFAST NOOK WITH DOORWALL ACCESS TO THE BACKYARD. FINISHING OFF THE ENTRY LEVEL IS A FORMAL DINING ROOM, LIVING ROOM AND HALF BATH. UPSTAIRS, THE MASTER SUITE BOASTS A TRAY CEILING AND ATTACHED BATH WITH DUAL SINKS, SEPARATE SOAKER TUB AND SHOWER AND A WALK IN CLOSET. THREE AMPLY SIZED BEDROOMS AND TWO FULL BATHS FINISH OFF THE UPPER LEVEL. THE BASEMENT IS UNFINISHED AND READY FOR YOUR PERSONAL TOUCH!